It’s a well known fact that yoga goes hand-in-hand with the vegetarian diet. Some people go further to say that eating less meat gives you more flexibility and enhances your yoga practice. 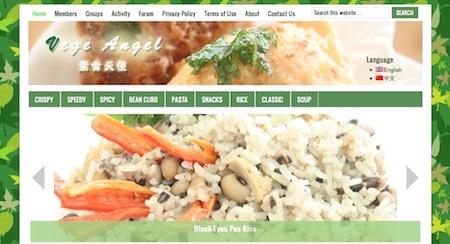 Whether it’s true or not, here’s a new website done by a friend whose family does impressive vegetarian cooking. Here she shares some great recipes for popular vegetarian dishes such as Asam Laksa, Vegetable Curry and so on. thanks for sharing! all the food look delicious!